This 1982 Kaleidoscope report interviews artist Theo Schoon, on his return to New Zealand after a decade in Sydney and Bali. Schoon was a pioneer as a Pākehā engaging with Māori design, melding modernist and Māori motifs (e.g. moko and kowhaiwhai patterns). He discusses his earlier estrangement from the New Zealand art world ("talking to the deaf"), his eight years documenting Māori cave drawings ("art galleries of a sort, art galleries that I'd never been conscious of"), growing and carving gourds, and being inspired by Rotorua’s geothermal activity. Schoon died in 1985. Hosted by one-time mod Ray Columbus, That's Country was one of the highest rating shows of the early 80s. 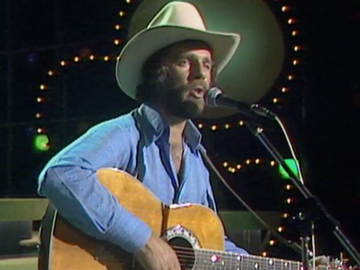 This 1982 episode features veteran Kiwi country performers (John Hore, Patsy Riggir) and trans-Tasman pop star Dinah Lee. The opening ensemble number features Canadian singer Glory-Anne Carriere and US duo the Gypsy Mountain Pickers, along with Australian Jade Hurley (who still bills himself as the King of Country Rock). Check out the rhinestone cowboys and girls as they belt out the theme song, then settle in for solo performances. Yee-ha! After kicking off with 'Poi-E' and the opening of landmark exhibition Te Māori in New York, this documentary sets out to summarise the key elements of Māori culture and history in a single hour. 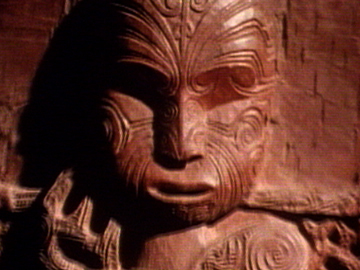 Narrator Don Selwyn ranges across past and (mid 80s) present: from early Māori settlement and moa-hunting, to the role of carvings in "telling countless stories". There are visits to Rotorua's Māori Arts and Crafts Institute and a Sonny Waru-led course aimed at getting youth in touch with their Māoritanga. The interviews include Napi Waaka and the late Sir James Hēnare. In late 1989 U2 played to 60,000 at Lancaster Park. Exhausted by a relentless schedule and criticism of their recent explorations of American music, the band hoped for a short, fun tour with BB King. These performances were shot for music show CV. Reaction to show opener ‘Where the Streets Have No Name’ shows it was a good idea not to give up on the song during recording. After the classic ‘I Will Follow’, Bono invites a cool as a cucumber audience member up to play guitar on ‘People Get Ready’. U2 went on to reinvent themselves in Berlin with the acclaimed Achtung Baby. This Close Up All Blacks interview was broadcast from Christchurch Football Club, ahead of the opening test of the much anticipated 2005 tour by the British Lions. Mark Sainsbury is the MC, as coach Graham Henry, captain Tana Umaga, vice-captain Richie McCaw and young lock James Ryan talk pre-game rituals, mentors, half-time food and nicknames (McCaw is known as ‘Fluffy’?). 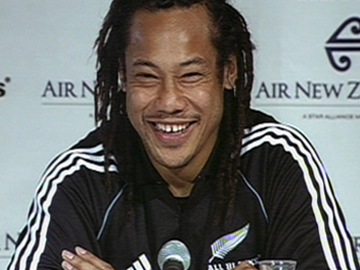 Umaga would shortly make headlines for his part in a controversial tackle on Brian O’Driscoll, which ruled the Lions captain out for the rest of the series (won 3 - 0 by the All Blacks). 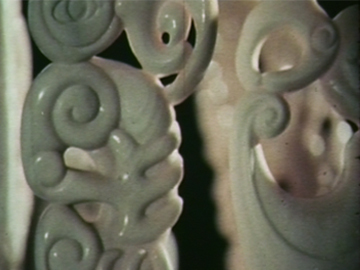 This award-winning National Film Unit documentary looks at the craft movement in New Zealand, as this counterpoint to industrial mass production went mainstream. The sense of involvement in the title refers to the individual skills that potters, weavers, printmakers, furniture makers and sculptors bring to making their objects. Director David Sims avoids narration, instead using music from composer Tony Baker to score scenes of the makers at work, from the loom, furnace and kiln, to workshop and studio. As a flashback to the late 70s, facial hair, ceramics and wool abound. 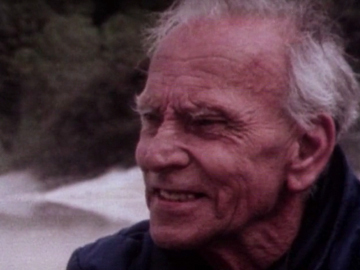 This eighth episode in the Landmarks series was the first episode filmed, to test how geographer Kenneth Cumberland handled being in front of the camera. On a Cook Strait ferry in a southerly, he begins exploring how trade and people have gotten about Aotearoa: from the “Māori main trunk line” (beach, water), sailing ships, Cobb & Co and ‘Shanks's Pony’, to the railways and Bob Semple’s roadmaking bulldozers.The episode ends with the national grid and airways, with a rocky landing at Wellington airport demonstrating that the wrestle with place is an unresolved one. The concept for this 2005 Touchdown reality show involved sending a bevy of Kiwi beauties to outback Australia, so they can compete to become "the ultimate Kiwi chick" (and win a $100,000 prize). In this second episode the girls discover that the week’s immunity winner (the 'Boomerang Babe') will have to pick a trio of contestants, so the local townsfolk can vote which one to eliminate. The girls must help host Vadim Dale (reality romance show Outback Jack) brand a calf, where things get bloody; spend a night in the outback alone; and negotiate a hay bale challenge. 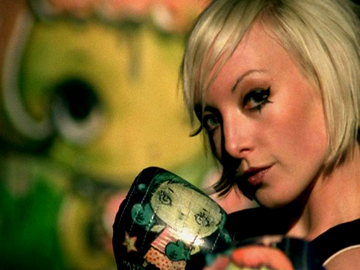 This 2003 documentary follows seven weeks of a theatre-for-change course for troubled teens. As part of acclaimed programme Te Rākau Hua O Te Wao Tapu, 30 teens from South Auckland's Northern Residential Centre are guided by director Jim Moriarty to create songs and plays based on their own stories. The process, from performing haka to confronting their demons and each other, proves challenging. Some don't make it to the opening night, performing in front of family and the public. Stewart Main's documentary screened as part of TV3's Inside New Zealand.